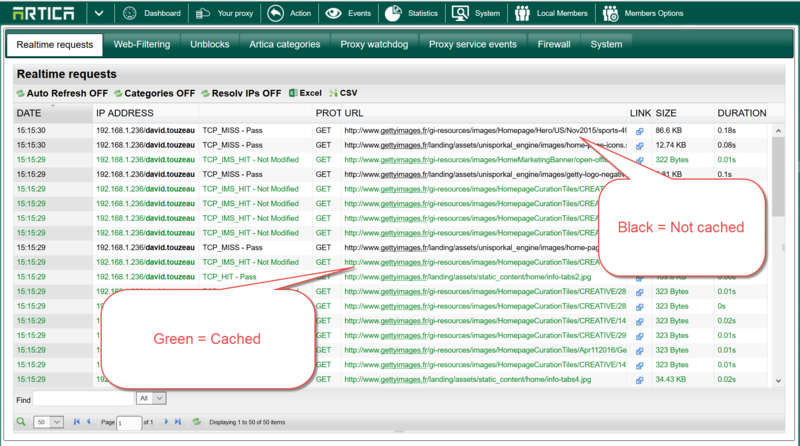 Artica is a strong proxy cache that claim to cache strongly websites in order to safe bandwidth. In some cases ( web applications, News / chat websites ) this behavior is not productive. 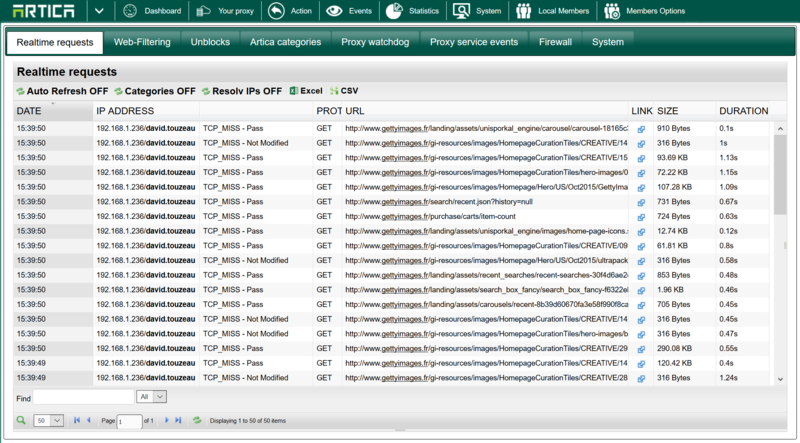 You can easily deny some websites to be cached by the proxy. 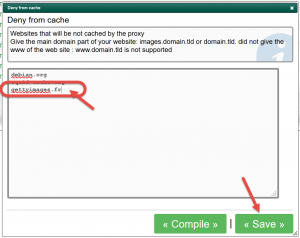 1) How to see if a website is cached or not. 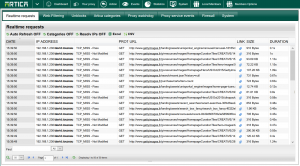 Click on Events top menu, you will see the real-time monitor. 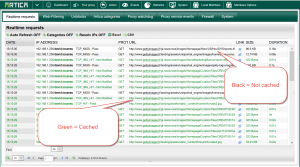 A “green” request means the proxy send the object from it’s cache and the object is not retrieved from Internet. 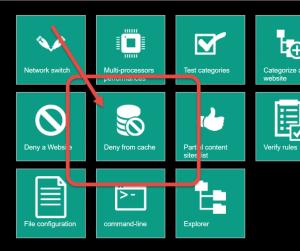 A “black” request means the object is fetched from internet ( it is not cached ). Choose the “Deny from cache” icon. 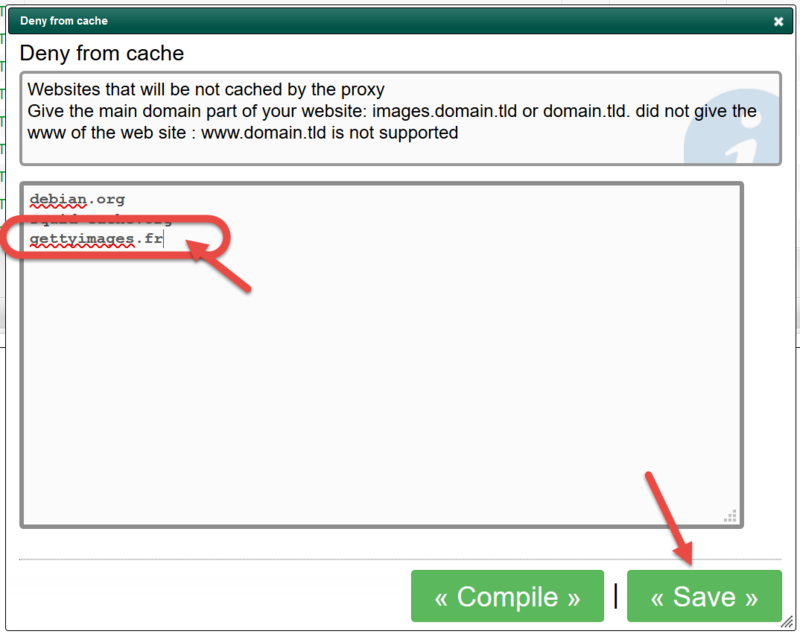 Add the main domain in the list. The Save button did not apply rules in production ! Click on the button “Compile” to make it in production mode. Verify on the real-time events that everything is black for the added website.